Nardole: They got my hair a bit wrong, though, didn’t they? 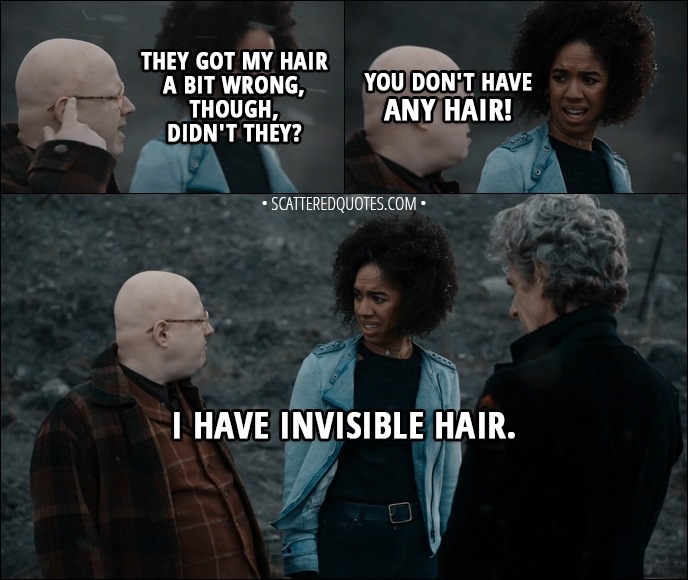 Bill Potts: You don’t have any hair! Nardole: I have invisible hair. 31.12.2017 I have invisible hair.